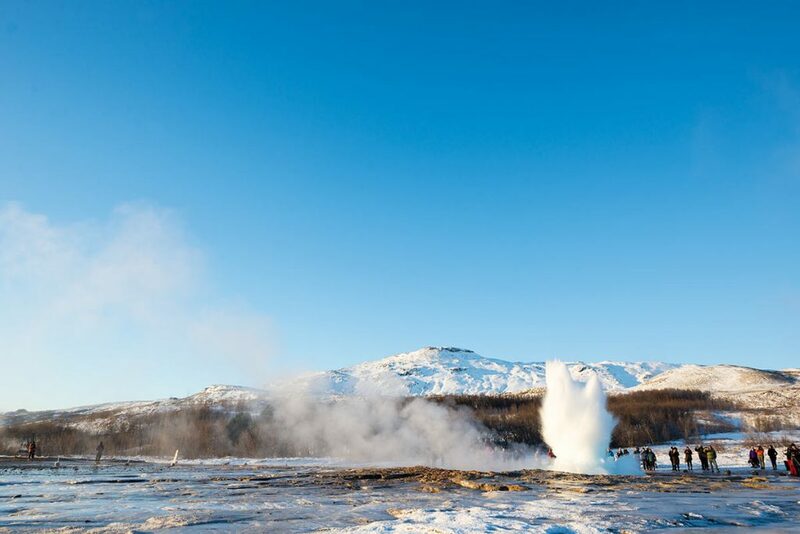 Since 18th century Haukadalur geothermal area (valley) is one of the most known and visited geothermal areas in Iceland. 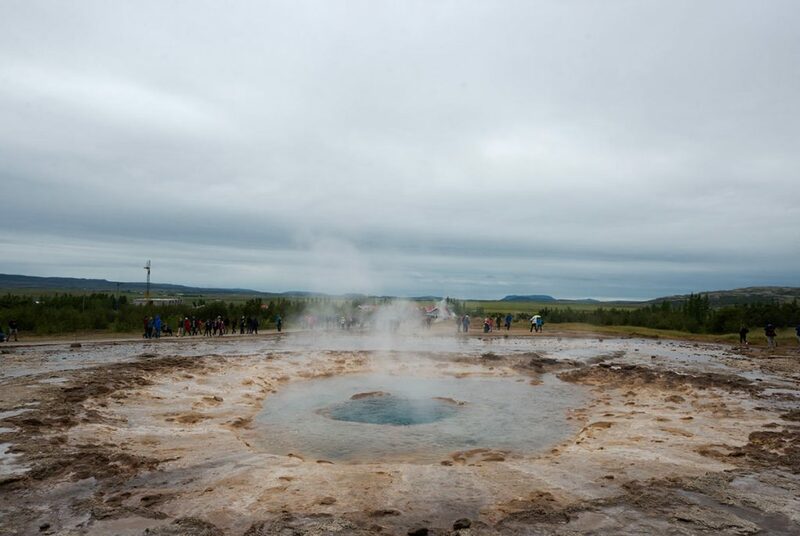 Here you can find the famous Geysir who gave its name to all of its kind (and stays silent for now), another geysir named Strokkur, which erupts every 8-10 minutes and dozens of other smaller hot springs, mud pots and fumaroles. 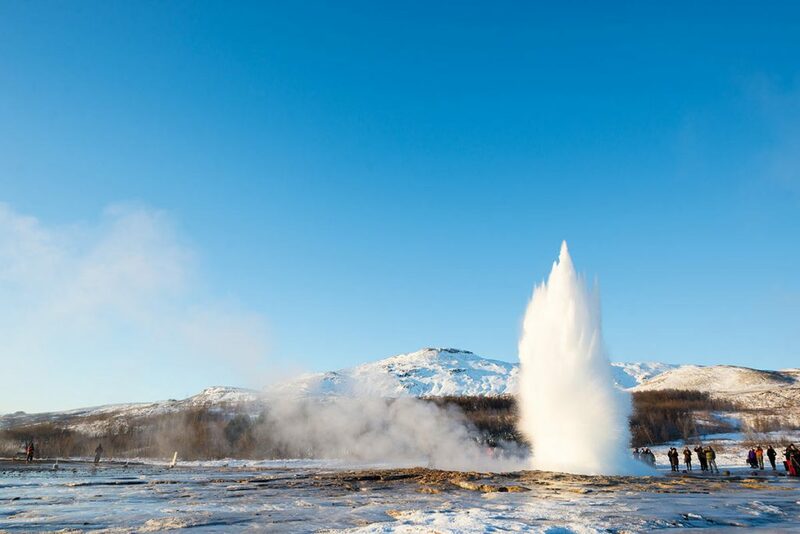 Geysir – the one that all the others of its kind were named after. 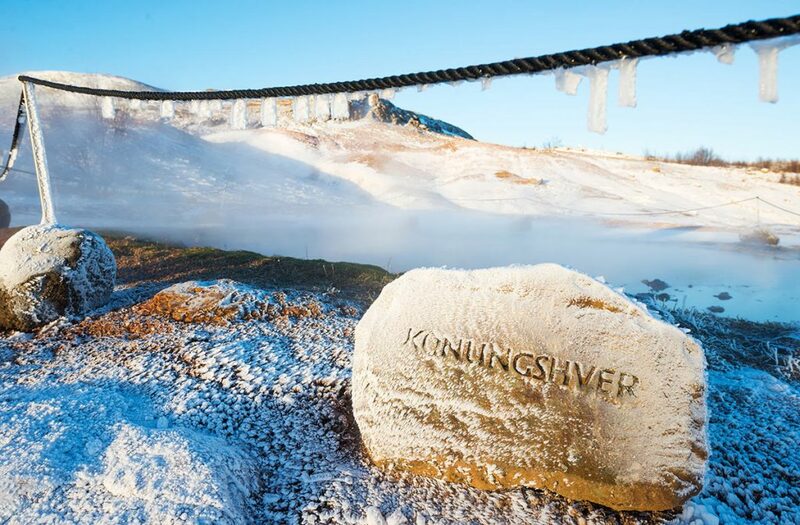 Active since 1294 used to erupt to heights up to 170 meters. 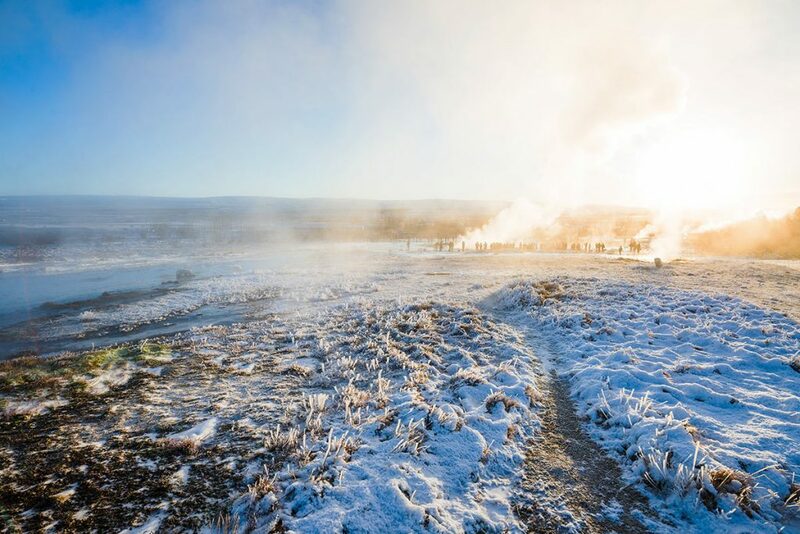 It´s activity is unpredictable and closely connected to geothermal activity in the area. 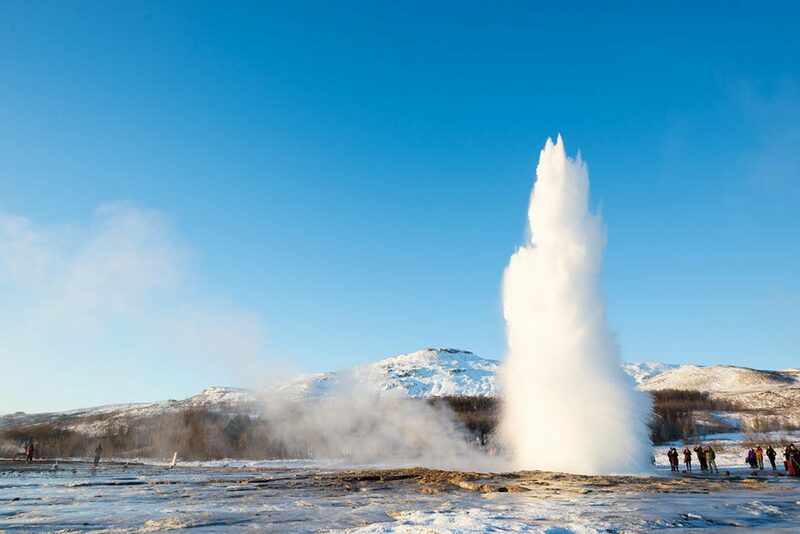 Waiting for its eruption can take a really long time, if you are not so patient, just move to it´s ‘brother’ – Strokkur. 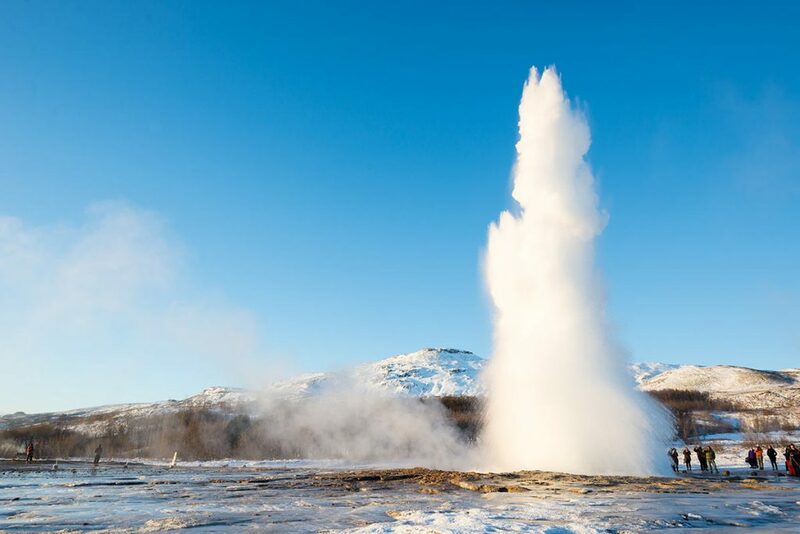 Strokkur – erupts very often, every 8-10 minutes up to heights of up to 40 meters. 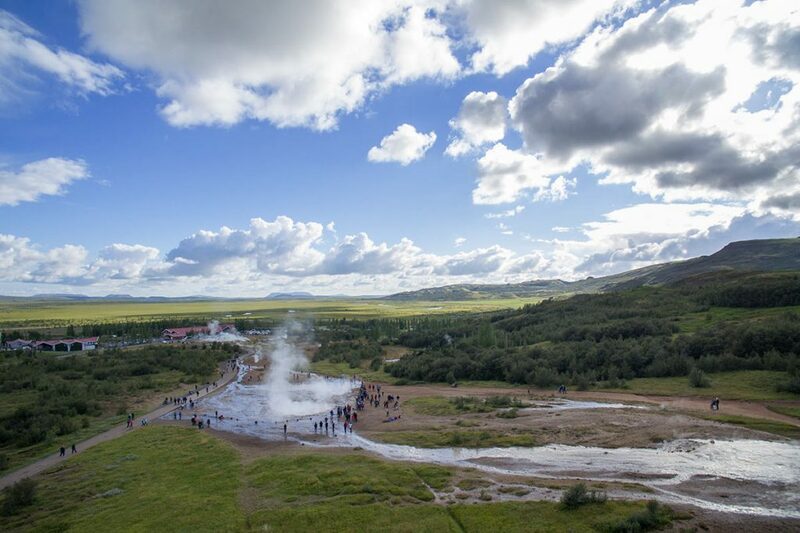 Therefore so many tourists comes here, to witness this geothermal beauty. 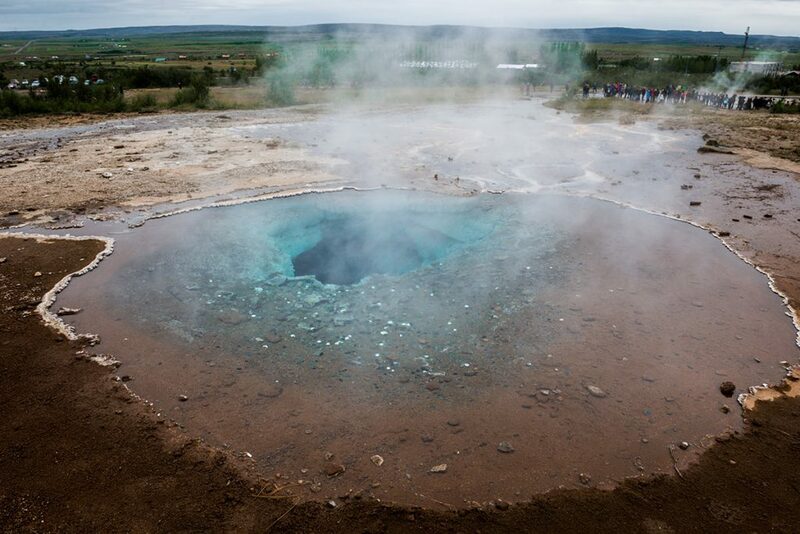 You can find Haukadalur geothermal area approximately 100 kilometers east of Reykjavík. 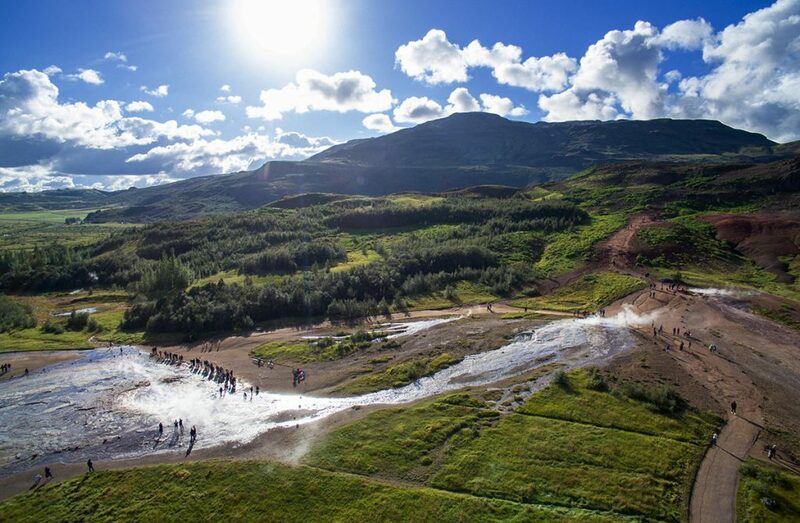 GPS coordinates of Haukadalur geothermal area: 64.310606, -20.302045 Take me there!